Be the first to hear about their new releases and deals. Download the Booksprout app and search for Tim Moon today! 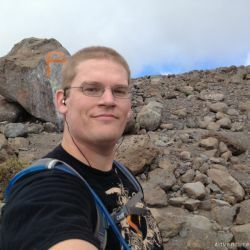 Tim Moon is an author, artist, and adventurer from Washington State. Tim graduated from Washington State University, with a BA degree in political science and a minor in psychology. Tim is a lifelong fan of science fiction and fantasy and primarily writes in those genres. He loves to travel, go backpacking, read, and watch movies. After five years working in airport security, Tim moved to South Korea to teach English and completed his first book, Dead Apocalypse. Tim currently lives in China with his beautiful wife.